I am jumping on the modern rainbow bandwagon. 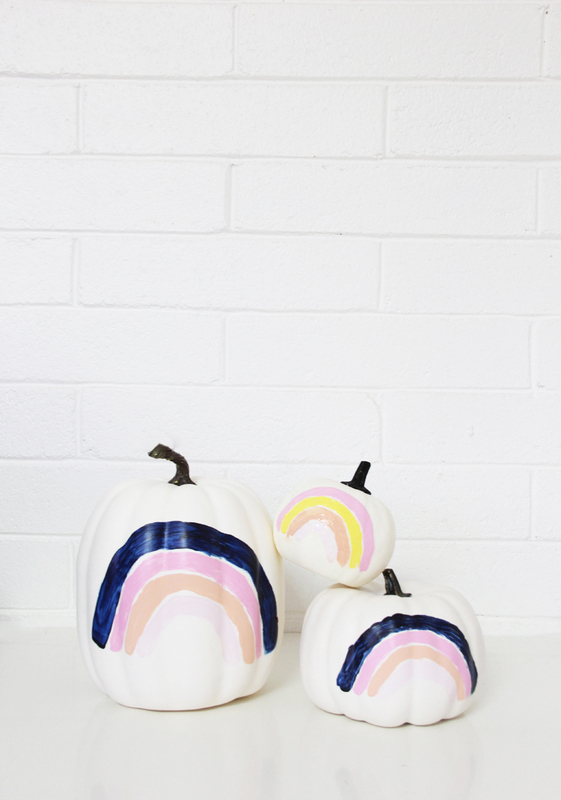 I picked up a print for Cole’s nursery (his nursery reveal coming in October…) I cant stop pinning rainbows and so, why not bring it to Fall and Halloween! Blue is my other favorite color (pink being the first, duh) And I love a dark blue for Fall. 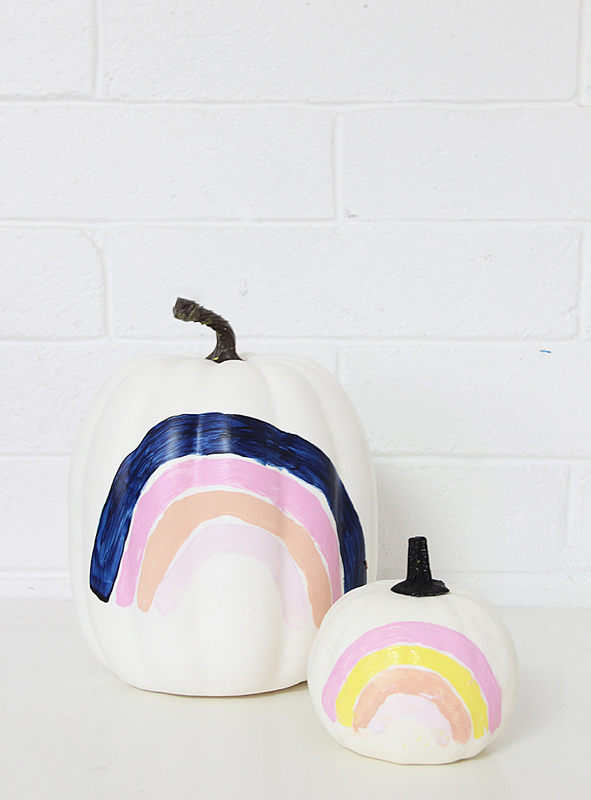 No step by step here, pick your colors and paint your pumpkin. I clearly did not do anything formal and freehanded it, but I am sure you could find a stencil and make a perfect rainbow. I am a terrible Virgo though and do not give af about it being imperfect. I kinda am getting a lucky charms vibe? 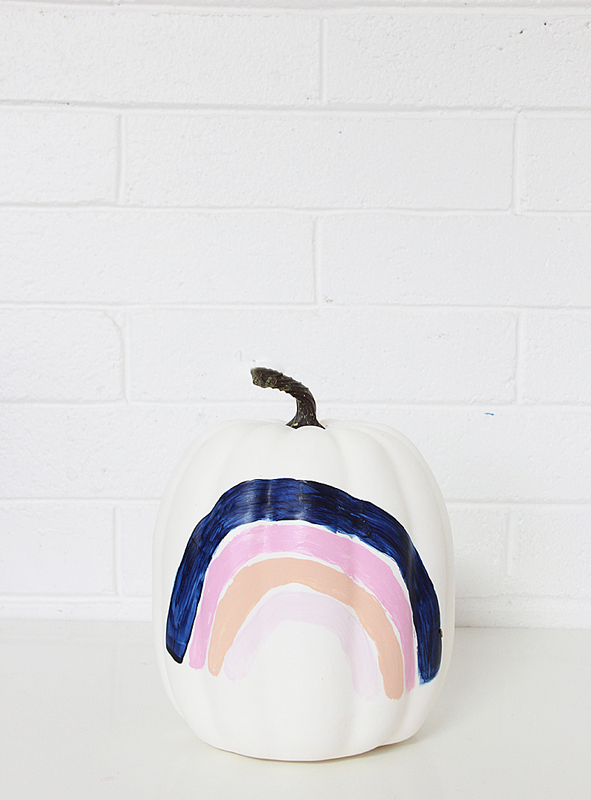 Do you craft for Halloween? 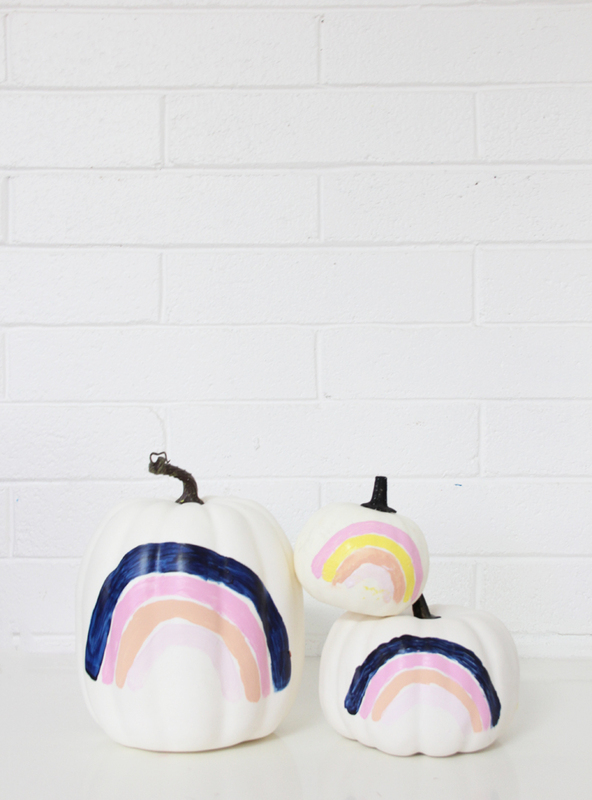 We love to paint pumpkins at our house, the girls painted a ton when I did these rainbow pumpkins a couple weeks ago. I always have to buy a ton of spare pumpkins for them to use and I love sitting down with them while they create with me. « Creativity Takes Courage- My Creative Challenge!